Android at last? 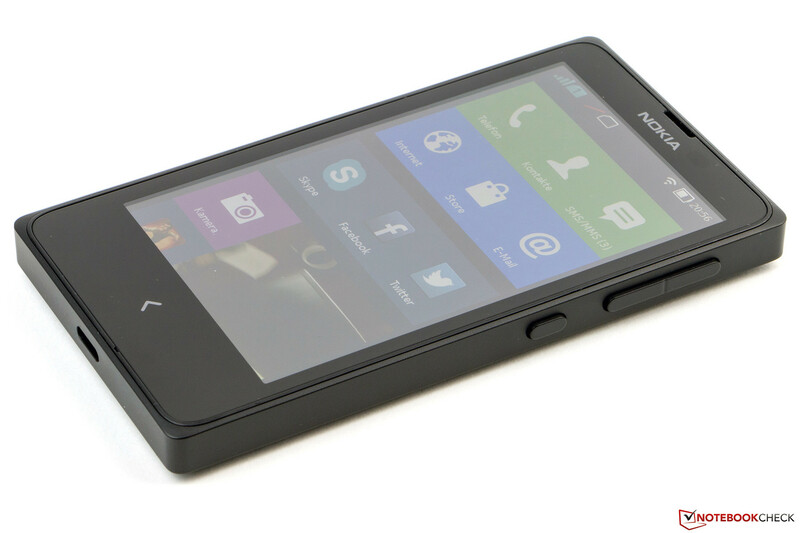 The Nokia X marks Microsoft Mobile's entry into the Android market. What looks like a turnaround, is not really one at all: with the inexpensive entry-level smartphone, a reworked interface, and a special App Store, Microsoft is trying to lure customers and get them transitioned to the Windows Phone platform. Why the concept is not completely successful is the subject of our review. The Nokia X is a compact smartphone with dual-SIM technology. 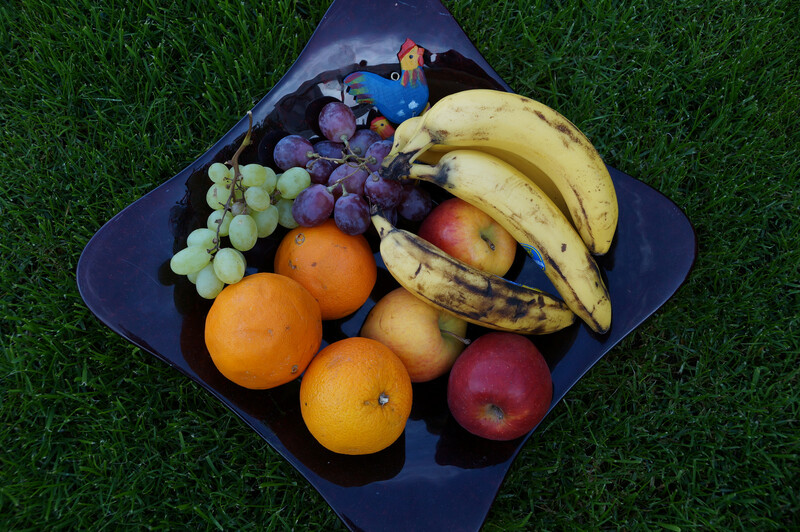 The colorful phone can be purchased in either blue, green, red, yellow, white or black. The series - in addition to the X+ and XL - was introduced during the Mobile World Congress 2014 in Barcelona. Although this particular smartphone was developed for emerging markets like China and India, it is now making its way to Europe and North America as well. The design is supposed to get buyers used to the tile interface Microsoft uses for their Windows Phone as well as ease the transition into the world of smartphones. The user should, at least according to Microsoft's product psychology, later transition to a Lumia model. Because of the price bracket and feature set, the Nokia X, which retails for around 100 Euros (~$135), should be considered an entry-level smartphone. This segment of the market is highly contested: in addition to the Acer Liquid Z4 Duo (starting at 99 Euros / ~$135), the Huawei Ascend Y530 (starting at 110 Euros / ~$150), there's also Sony's Xperia E Dual (starting at 88 Euros / ~$120). The Lumia 520 (starting at 105 Euros / ~$143) only has one SIM-card slot, but appeals with its attractive price-to-performance ratio. The first Windows Phone with two SIM-card slots is the Lumia 630, which was released not that long ago. With an MSRP starting at 159 Euros (~$215), this particular model is a bit more expensive than the other ones we have mentioned. 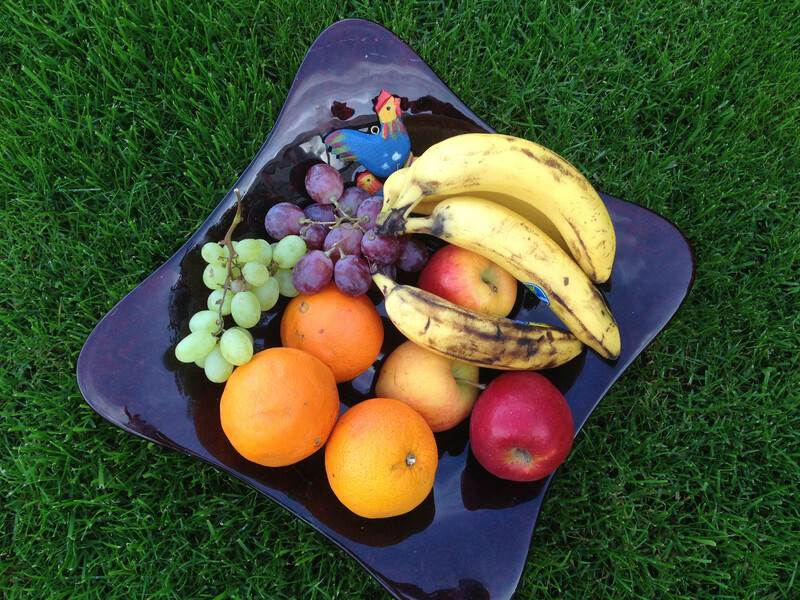 Polycarbonate - the material of choice. The case, which is made from polycarbonate, is non-slip and feels good to the touch, but it is also susceptible to fingerprints. Although the smartphone weighs 129 g (~4.6 oz) and is fairly thick at 10.4 mm (~0.4 in), it is easy to hold. The Nokia X is torsionally very rigid. When we attempted to twist it, the phone did not protest with any creaking sounds. The smartphone handled pressure to the back or the rather thin bezel equally well with no distortions visible on the display. To provoke ripples, we had to apply pressure to the display itself. 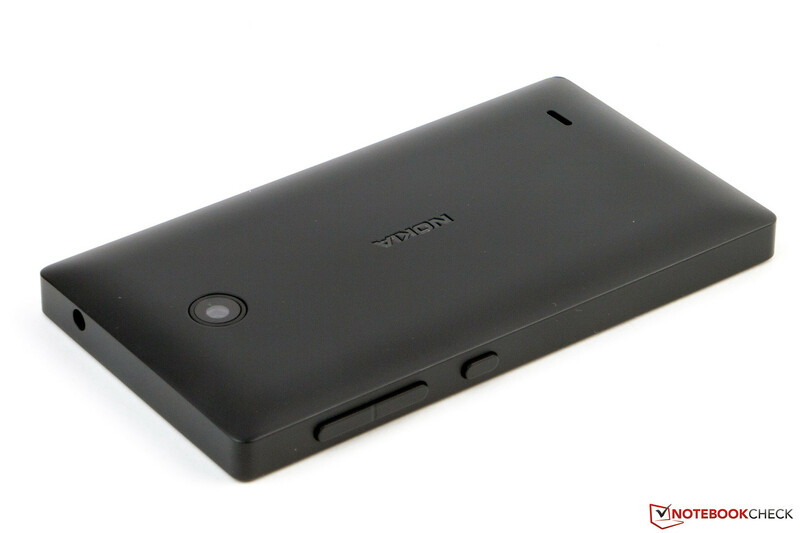 The cover of the Nokia X not only protects the back, but also forms the bezel for the display. Removing it gives the user access to the removable battery, the two Micro-SIM card slots, and the MicroSD card slot. The port selection is far from generous. The Micro-USB 2.0 port is used for charging as well as data transfer to and from a computer. Neither MHL nor OTG is supported. The MicroSD card slot can accept cards up to 32 GB (SDHC). 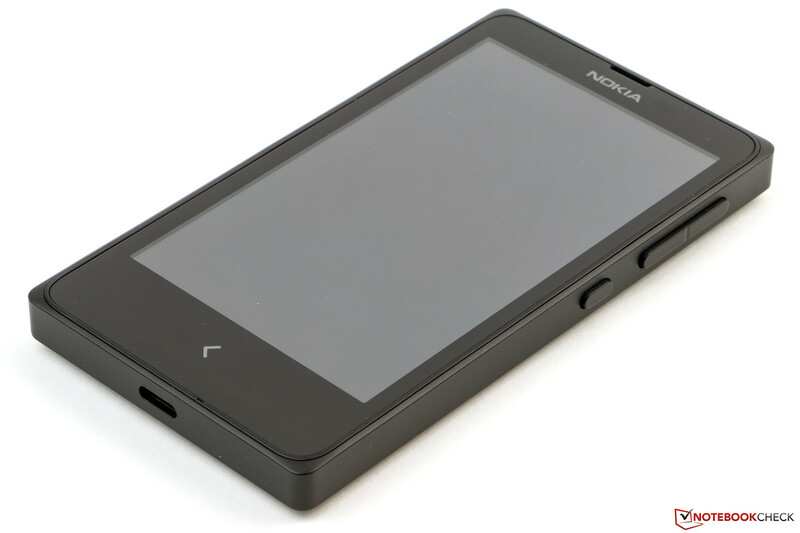 The Nokia X is based on Google Android 4.1.2 Jelly Bean, which is an older version of the software. 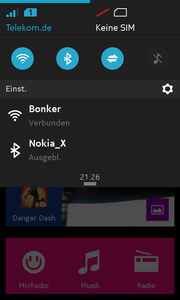 The Nokia X Software Platform on top of the OS changes the visual appearance drastically and looks a lot like the UI of Windows Phone, although there are some visual clues that this is Google's platform buried deep within the settings. Operation of the phone is fairly simple and not a big hurdle even for smartphone newbies. The tiles on the rather small display are somewhat large and easy to work with. All installed apps are accessible from the home screen and can be sorted as desired. 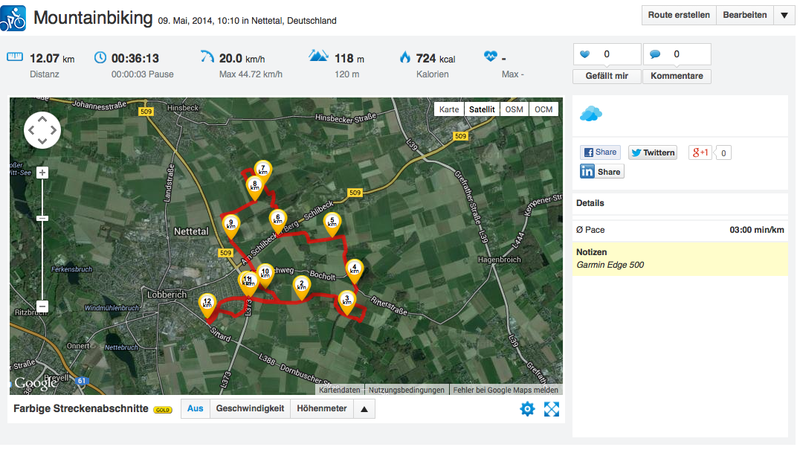 The color of the tiles can be changed as well - six predefined colors are available. 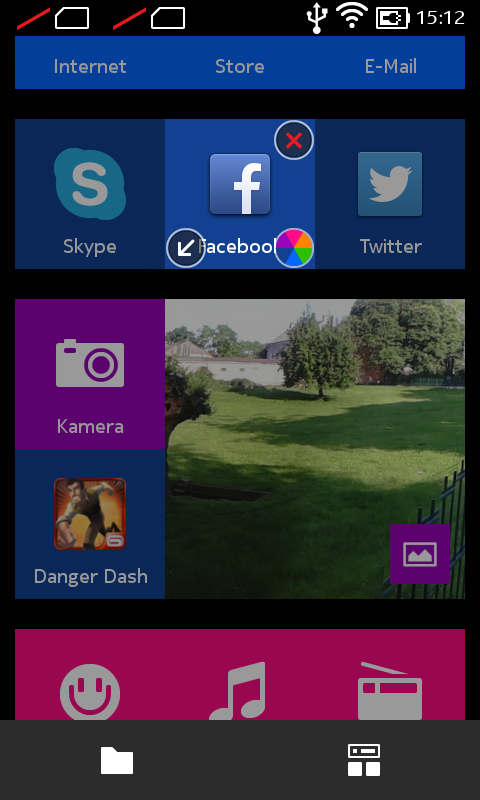 Live tiles, which is something Windows Phone offers, are not supported. 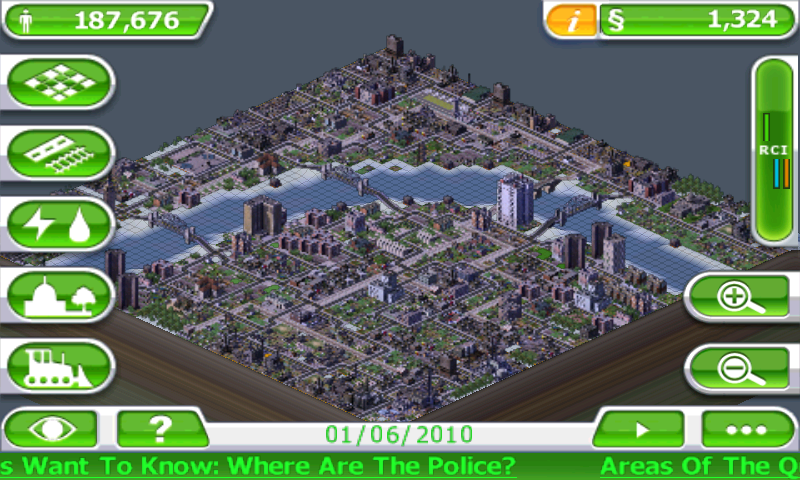 In addition to the default tiles, the user can also opt to quadruple their size. 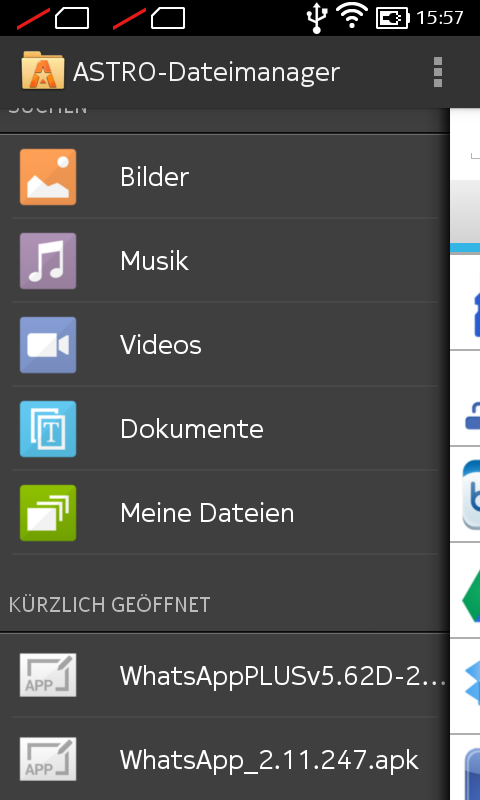 The applications can be grouped together so they are easier to find. The tiles can be customized. Some familiar apps are preinstalled, like Camera, MixRadio, and Here Maps, which offers offline navigation with voice guidance. 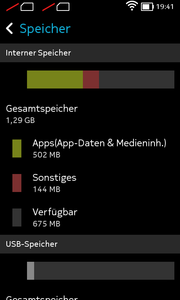 The maps, which have to be downloaded, do take up quite a bit of space so the use of a MicroSD card is required. 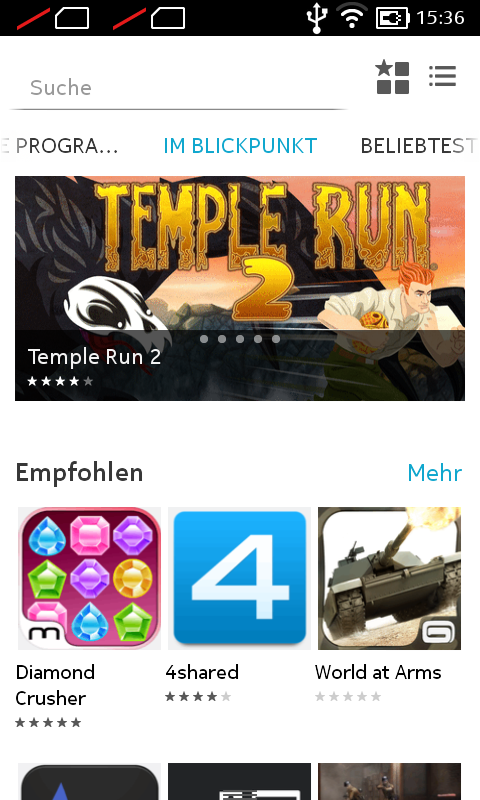 Quite a few games are preinstalled as well; additional apps can be downloaded from the Nokia Application Store, although the selection is rather limited: the popular messenger application WhatsApp, for example, is not available. 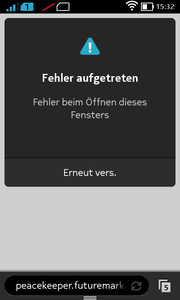 Integration with the Google Play Store is also not supported. The App Store has a limited selection. 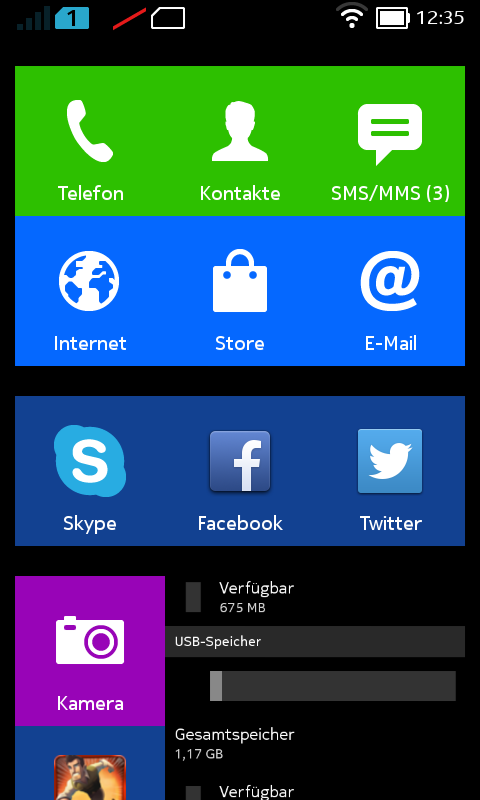 Familiar Lumia apps are preinstalled. 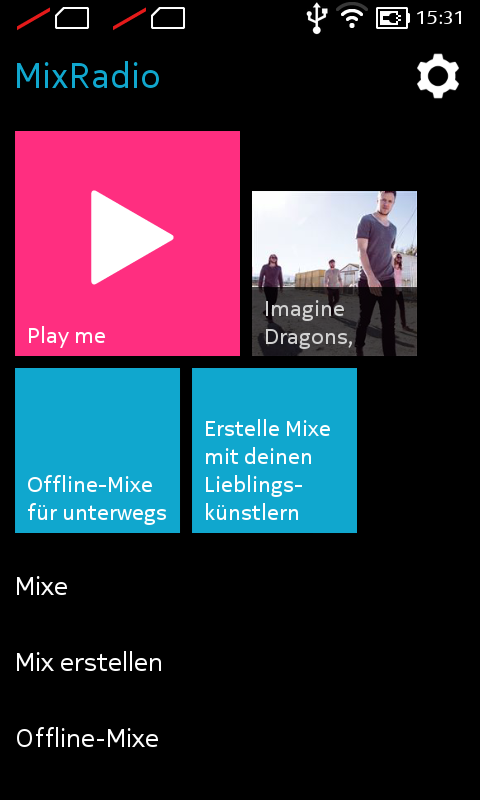 Free of charge: Nokia MixRadio. 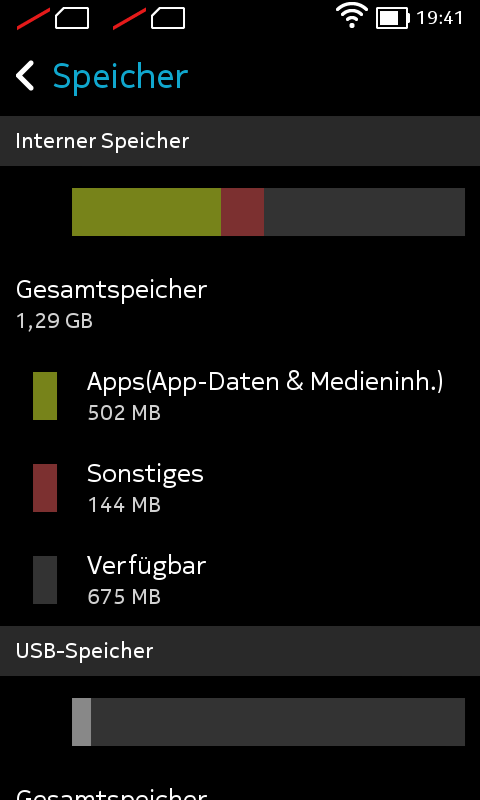 Maps take up a lot of space. Users who activate the installation of apps from unknown sources in the settings are able to download most apps from the Play Store and install the APKs (Android Application Package) manually. 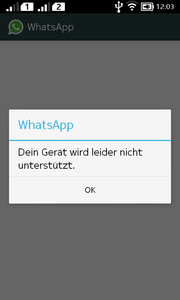 This only works if the application in question does not require access to Google services: a manual installation of WhatsApp (version 2.11.247) failed since the application declared the Nokia X to be "unsupported". 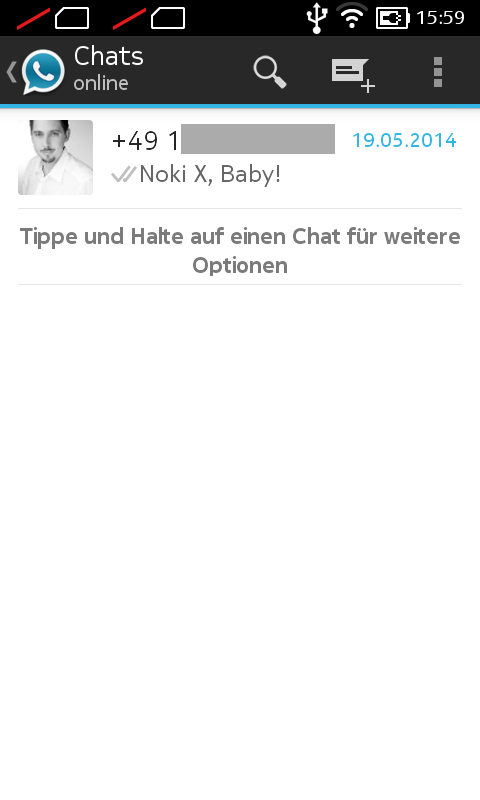 After the initial failure, we were able to install the WhatsApp+ APK (version 5.62D) and got messenger working. In addition, Amazon's App Store can be downloaded as well, although that requires an Amazon user account. Security is important, so we recommend downloading APKs only from trusted websites to minimize the chance of a malware infection. To manual installation of apps requires a setting change. The APKs can be installed using filemanager. We had to jump over hurdles to get WhatsApp working. 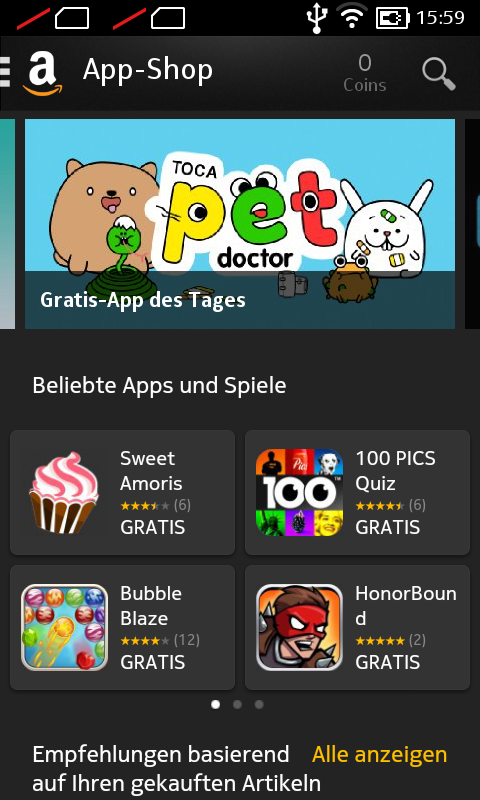 The Amazon App Store can be used as well. 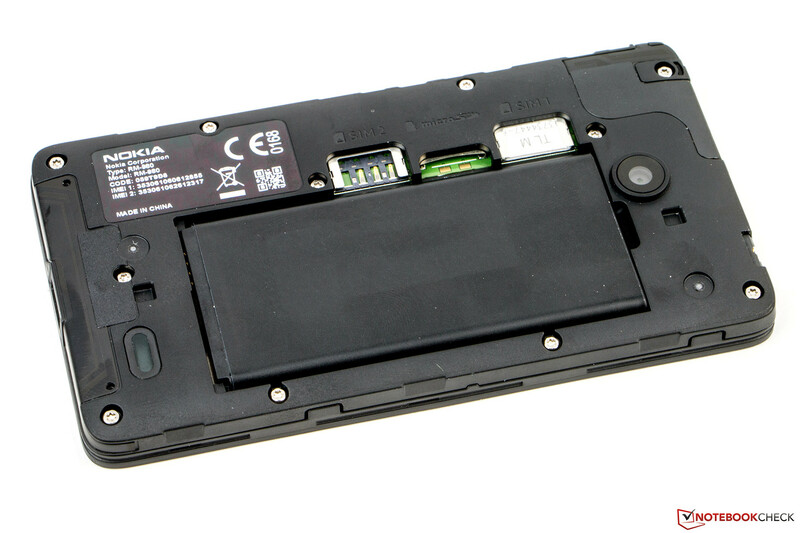 The Nokia X comes with a WLAN module, which supports IEEE 802.11 standards b/g/n and uses the 2.4 GHz band. 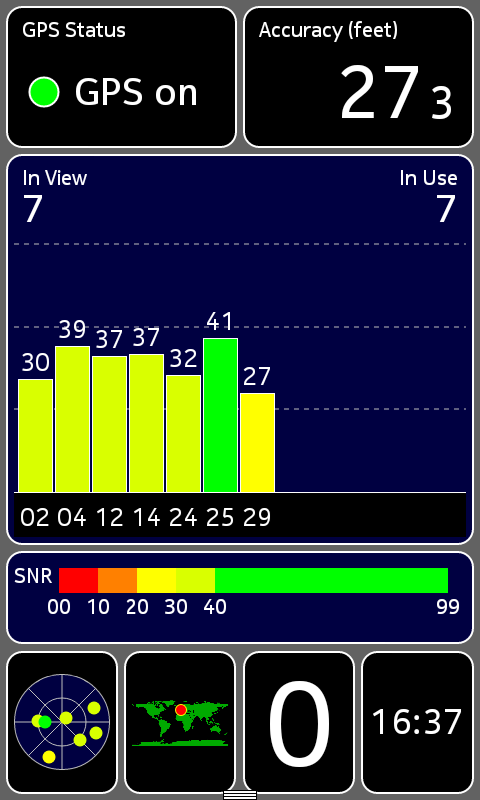 The signal strength is not that great, but should be sufficient in most cases. 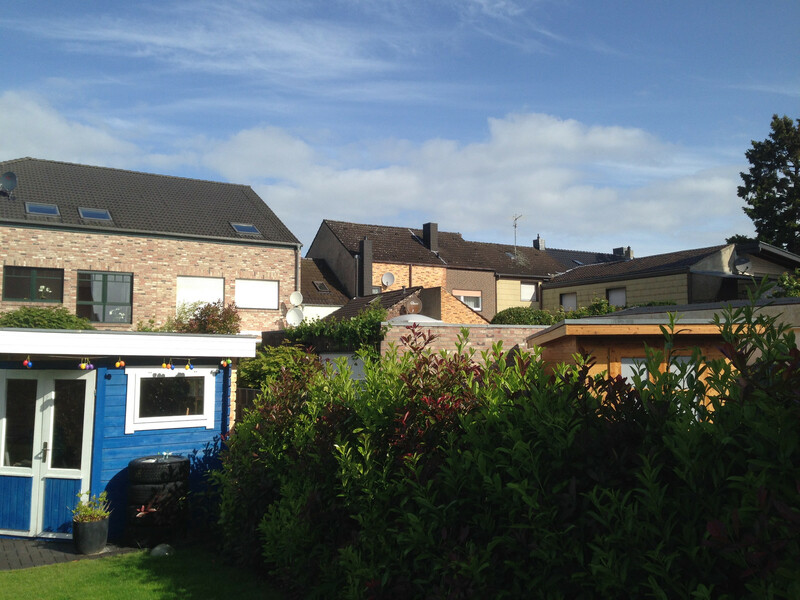 15 meters (~49 feet) from our router (Fritz!Box 6360) the signal strength had decreased down to -80 dBm. Web browsing is slow at that point. Internet connectivity is offered via UMTS/HSPA. Data connections are somewhat limited, but good enough for the targeted user group with download and upload speeds of 7.2 and 5.76 MBit/s, respectively. Because not that many frequency ranges are supported, coverage can be limited depending on the provider. Quad-band GSM allows using the phone for phone calls in most parts of the world. Bluetooth connectivity (version 3.0) works well and without issues. 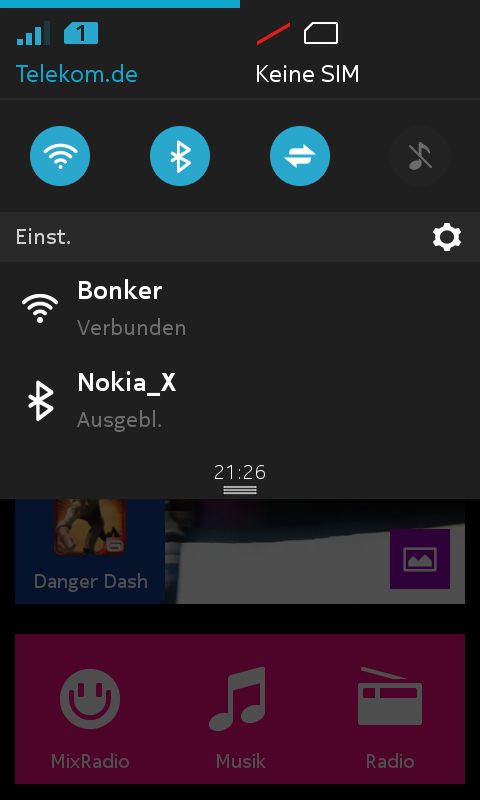 We were able to stream Nokia MixRadio to an external speaker without any disruptions. NFC is unfortunately not on-board. 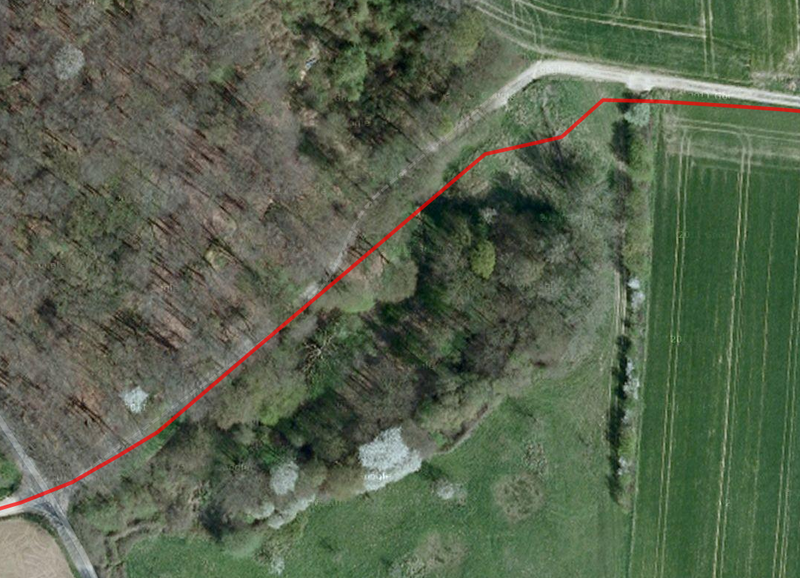 The GPS sensor was able to determine our position even indoors, although it took a few minutes to acquire a signal. 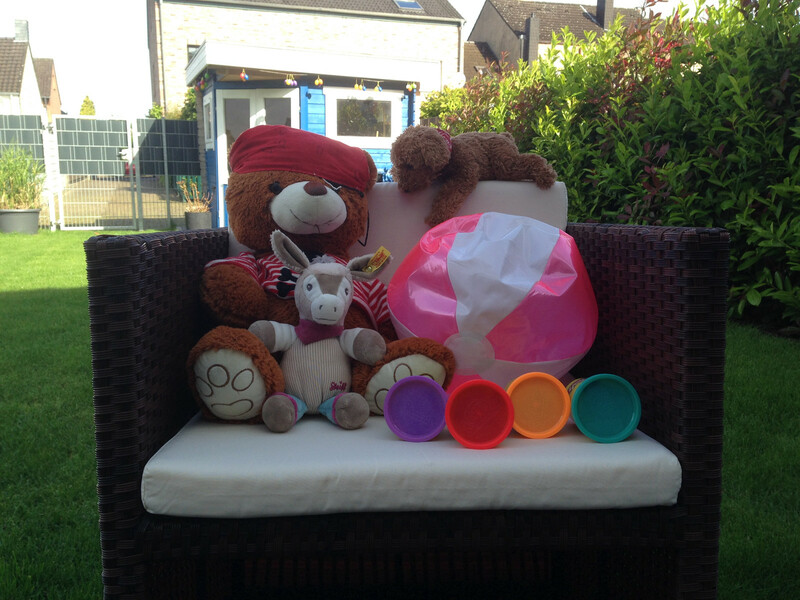 Outdoors, the signal is acquired much quicker. 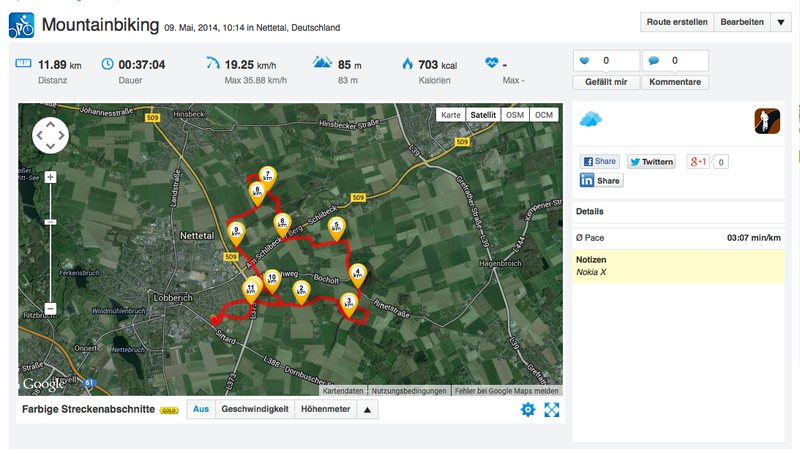 Accuracy is unfortunately not that high, as the comparison with the Garmin Edge 500 clearly illustrates. 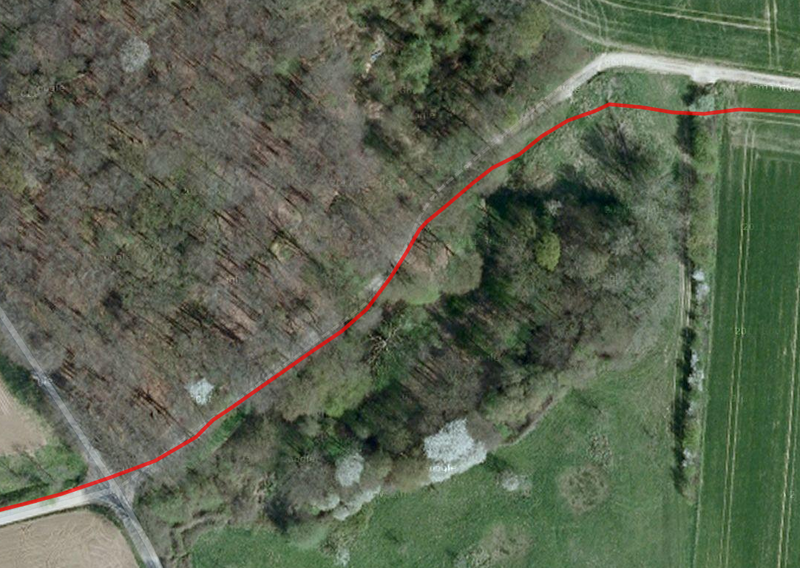 Especially around the bridge, the recorded path is not that close to the actual path. Navigation within a city as a pedestrian might require some patience to make sure that the correct position has been established. Other phones, like Acer's Liquid Z4, are not much better, however. 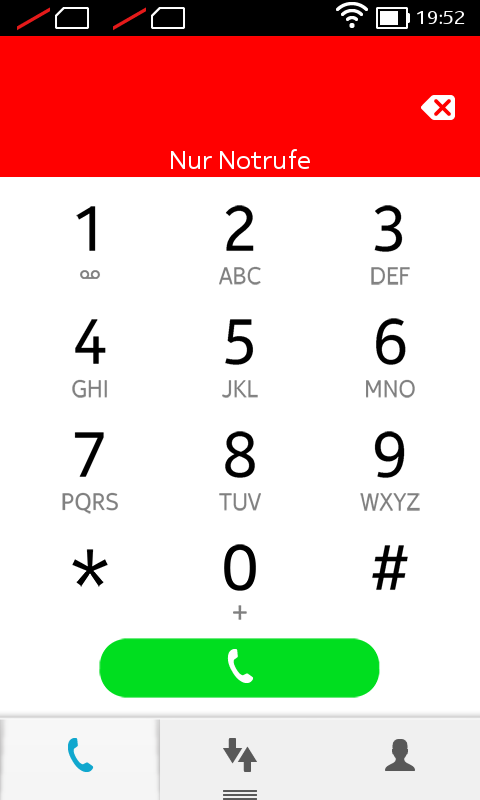 The neat and simple phone application compares well to the default Android version. All important functions are easy to find even during a phone call. 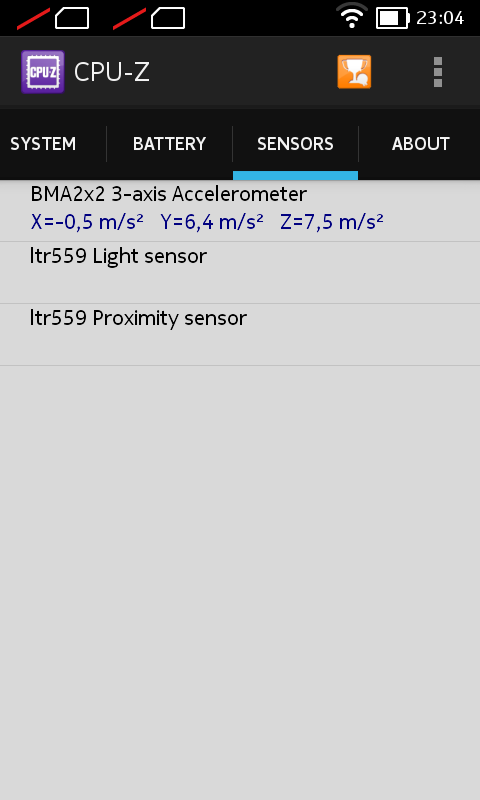 The proximity sensor also works without a hitch. The voice quality is quite decent considering the entry-level status of the smartphone. During calls, both parties were able to understand each other well, although we had to place the Nokia X directly next to our ear. Dropouts or distortions were never an issue. The quality of the speakerphone is not quite as convincing: although we had no issues on our end, the partner reported hissing sounds and occasional disruptions. The included headset is surprisingly good and can be used for phone calls without any caveats. The smartphone only comes with a rear-facing camera and no webcam. 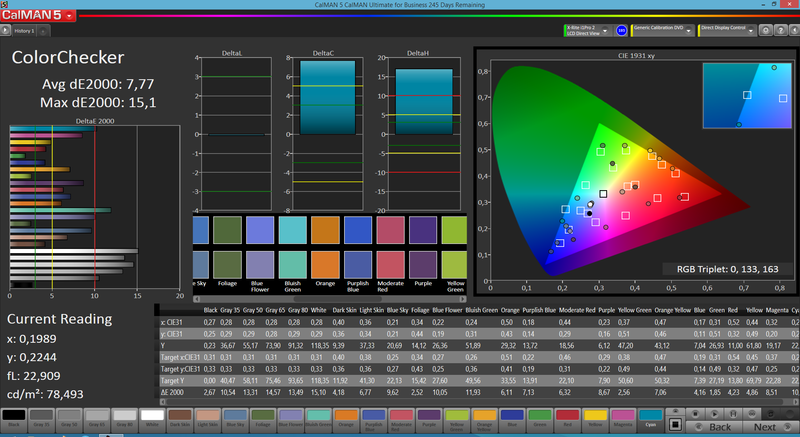 The camera has a resolution of 3 MP (2048x1536 pixels, 4:3), which is not particularly high. Compared to the direct competitor Acer Liquid Z4 Duo, colors are more accurate, even though slightly oversaturated. That is not always a bad thing, as the photo of the sky shows. Details are a little muddled towards the edges. 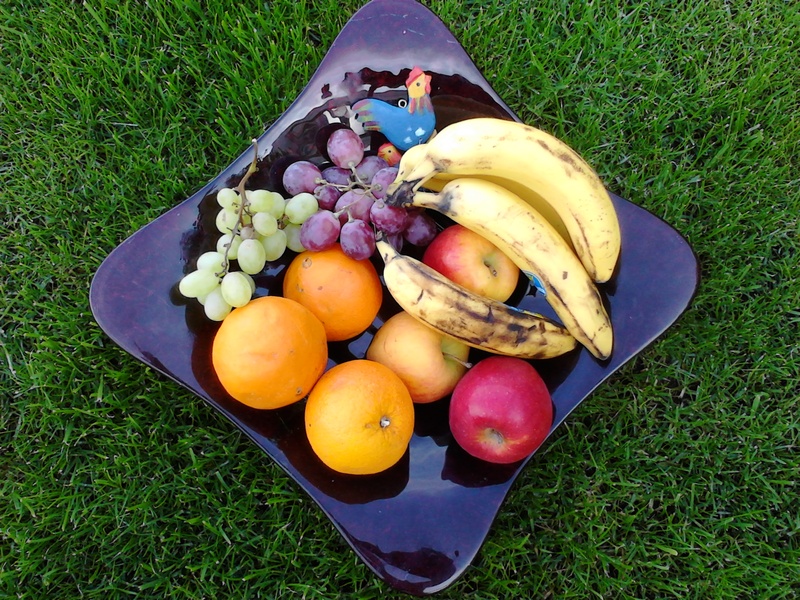 The user can change saturation, contrast, and sharpness. 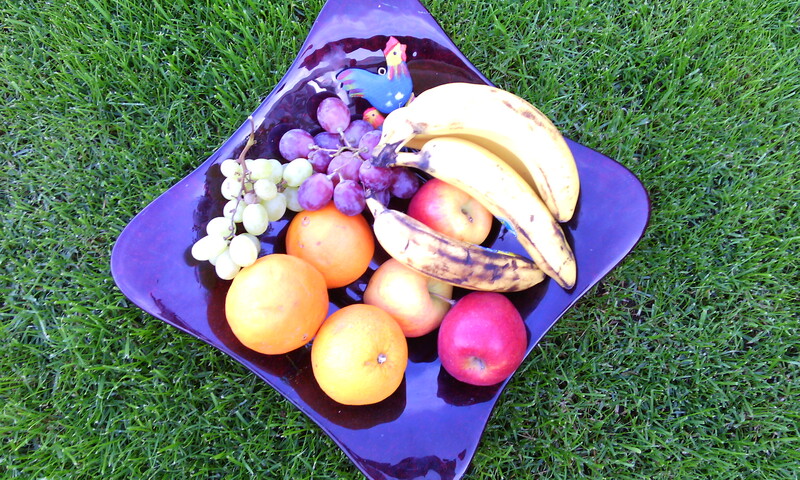 Low-light photography results in grainy pictures since neither a flash nor an LED light are on-board. 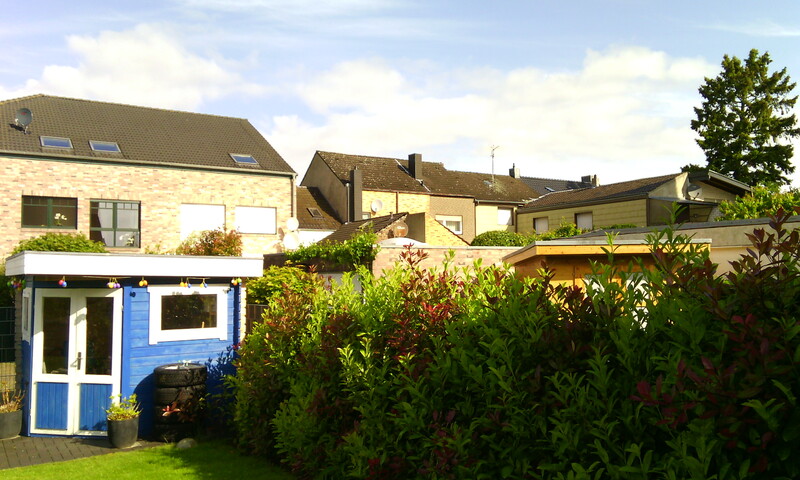 The panorama function is easy to use, although the smartphone has to be held as straight as possible to avoid stitching errors (see the fence as an example). The camera works well enough for social media duties or snapshots, as long as the size is not larger than 9 x 13 cm (3½ × 5 inches). The Nokia X records videos at a maximum resolution of 864x480 pixels. Viewed on larger screens, the videos lack sharpness and are slightly overexposed. Nokia includes a headset and a power adapter (5 volts, 750 mAh, 3.75 Watts). Unfortunately, the power adapter is not a modular model and a data cable is missing as well. Nokia does not offer any accessories that are specific to the X, although there are many universal accessories such as headsets, chargers, or car kits. 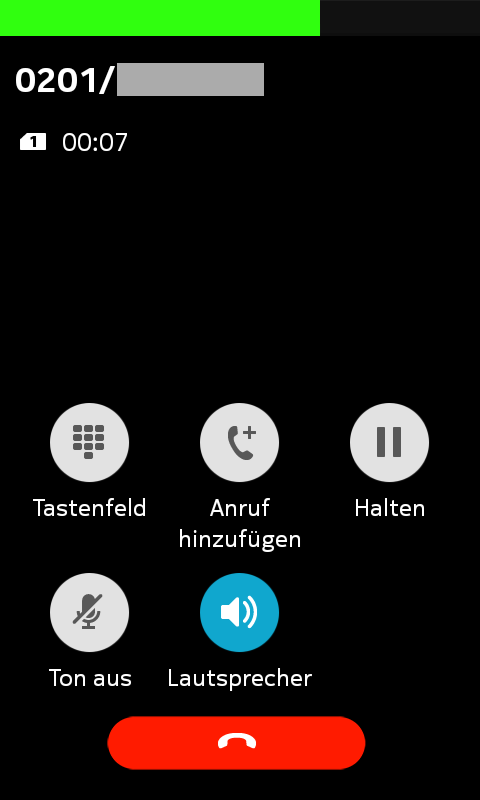 It is not easy to determine the exact warranty period in Germany and Austria, since Microsoft Mobile does not officially offer the Nokia X in these countries - the phone is imported from other EU countries. 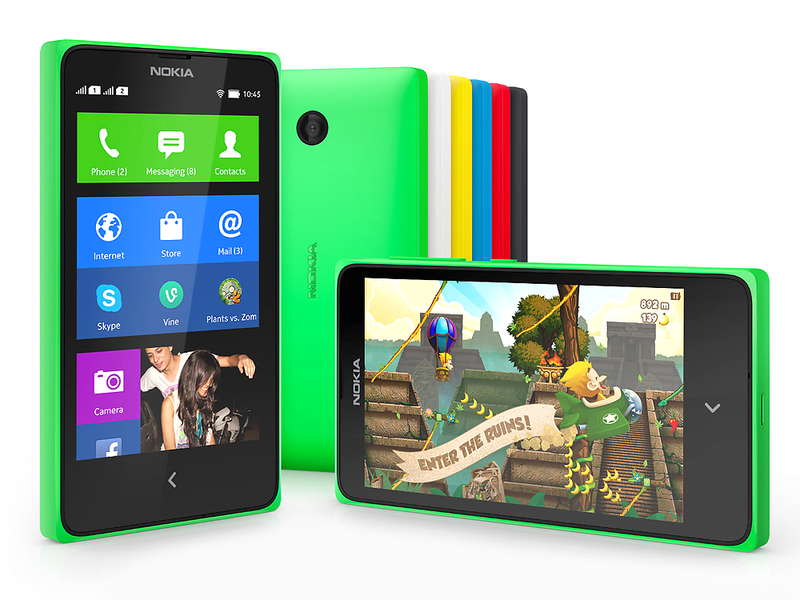 In Romania, the Nokia X comes with a 36-month warranty. Within the EU, buyers can at least take advantage of the standard 2-year warranty. The capacitive touchscreen can only handle two finger inputs at a time. Since there are no apps or multi-touch gestures, which would require more, this is not a major issue. The touchscreen is very accurate and inputs are translated quickly. Typing errors are therefore a rarity, despite the fact that the keyboard is so small. The layout could be better, however - the minus-symbol (-) for example, is well hidden and requires two page changes to get to. This can be annoying, especially when entering URLs. Located underneath the display is a sensor key. When touched briefly, the key functions as a back button; longer touches (about two seconds) take the user back to the home screen. If that is not quick enough, there is also the option to activate a gesture (swiping from left to right) that does the same thing. The physical buttons, which offer good feedback, are arranged in the same manner we are used to from other Lumia devices and can be reached easily with the thumb of the right hand. Top to bottom: Liquid Z4, Nokia X, Lumia 920. The 4-inch IPS display has a resolution of 800x480 pixels, which corresponds to a ratio of 5:3 and a pixel density of 233 PPI. The content is quite sharp; only a close examination reveals some pixelation. 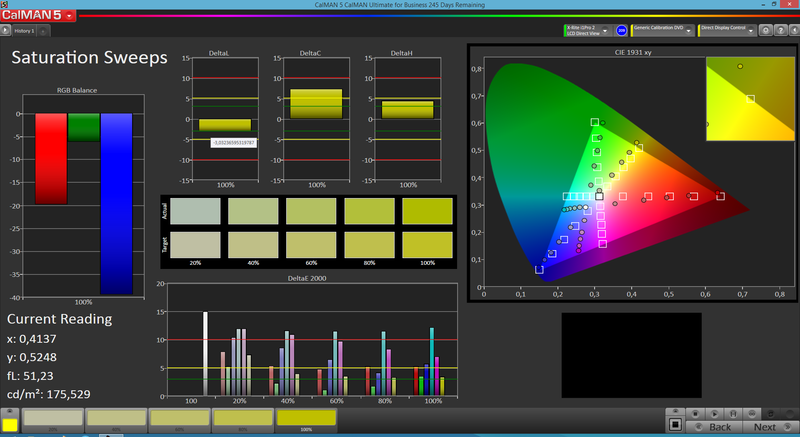 The maximum brightness is quite high at 408 cd/m² and the brightness distribution is very even at 92%. Neither the Acer Liquid Z4 (max. 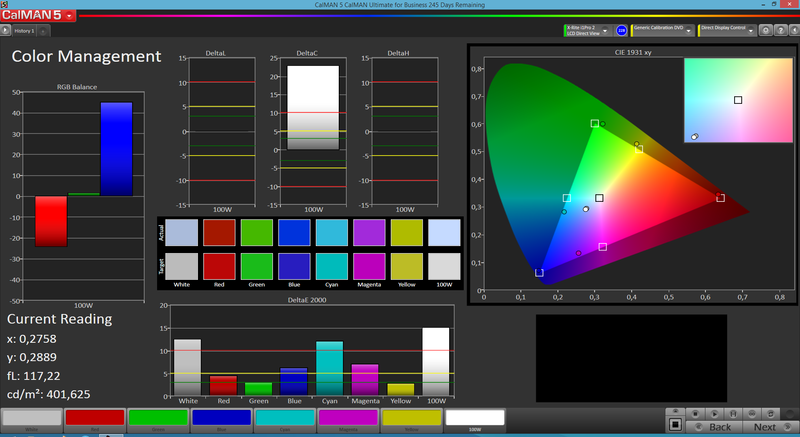 377 cd/m², 81%) nor the Huawei Ascend Y530 (max. 388 cd/m², 91%) fare quite as well. The backlight bleed at the lower edge of the display is unfortunate and our single point of criticism. The black value of 0.85 cd/m² is a bit too high and black areas look more grayish than they should as a result. The contrast of 467:1 is correspondingly low. 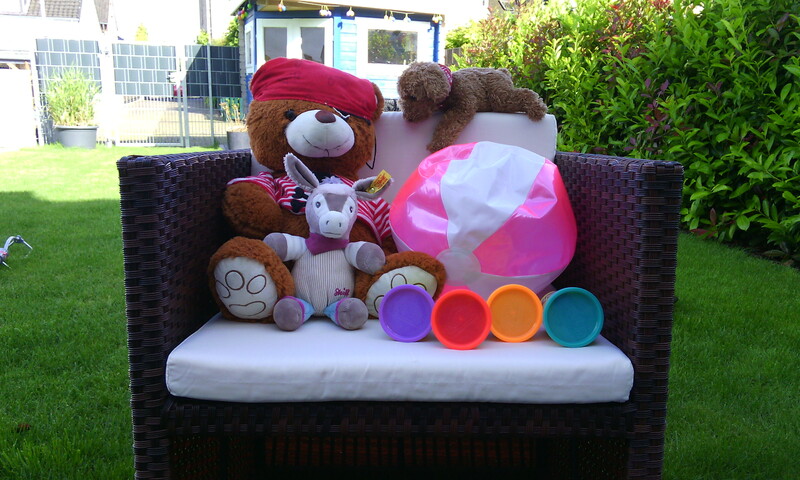 Out of the smartphones mentioned, the Sony Xperia E (0.43 cd/m², 719:1) posted the best results. The color accuracy of smartphones in this class usually suffers a bit - and the Nokia X is no different. 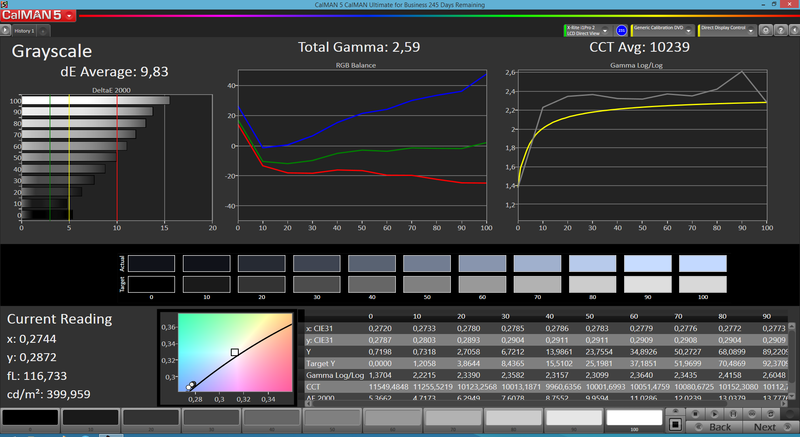 Gray levels (dE 10) and colors (dE 8) both show visible deviations. The display has a slight bluish cast and appears somewhat cool. 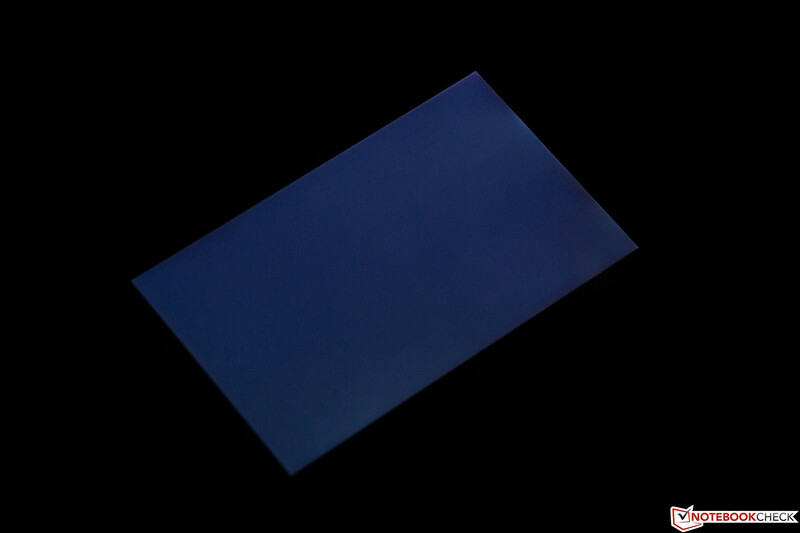 Cyan and white deviate the most from their ideal values, although this is not something noticeable during daily use. 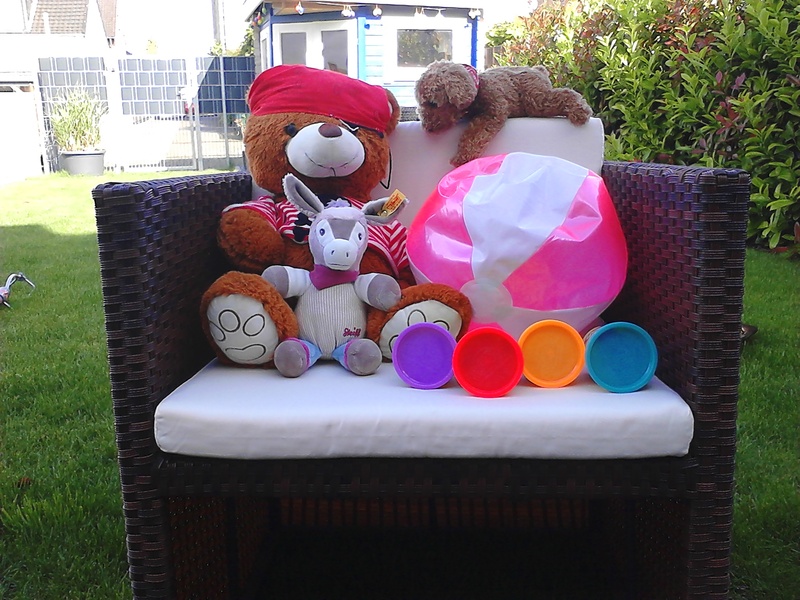 Direct sunlight outdoors is best avoided. 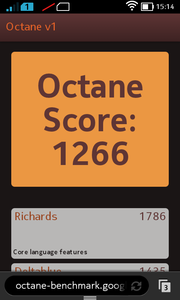 Even though the display is bright, the panel would benefit from a better contrast ratio. 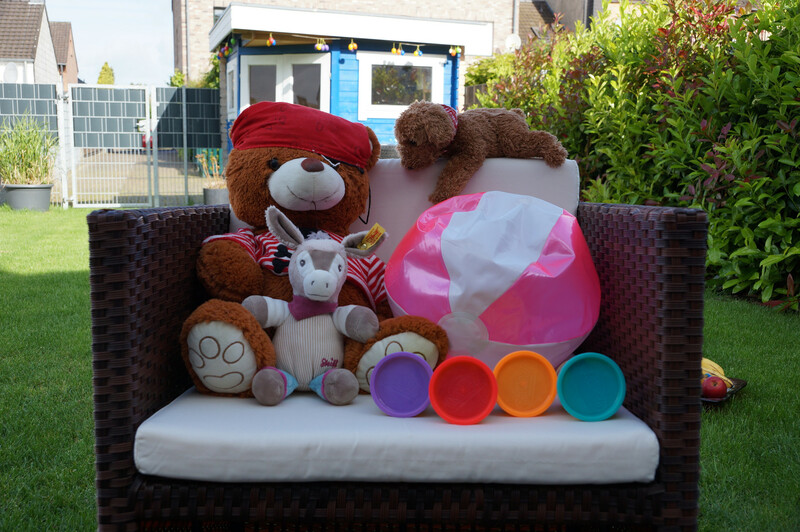 Operating the smartphone in the shade does not pose any issues, however. The viewing angle stability is decent, which is something we would expect from a display with IPS technology. At about 45 degrees, we noticed a small decrease in the brightness; at about 100 degrees, there is a slight ghosting-effect, which initially appears to be a lack of sharpness. The cause: the gap between the display glass and the actual panel itself is a bit too large. 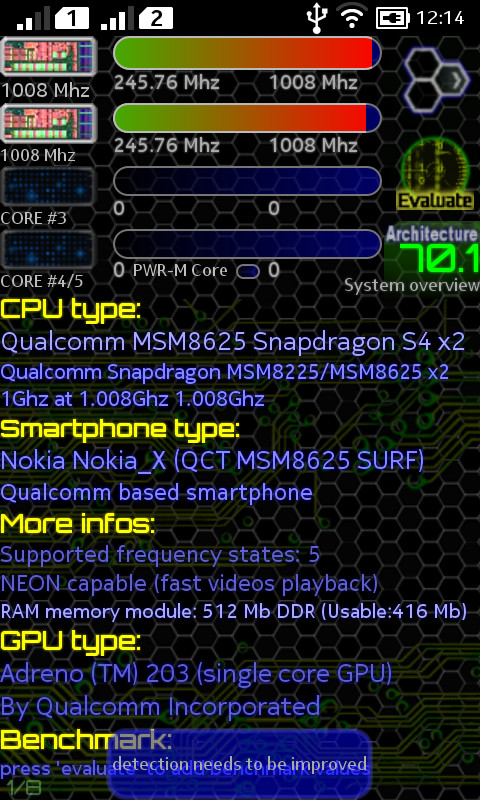 The Nokia X is equipped with a Qualcomm Snapdragon S4 Play MSM8625Q. This is the dual-core version of the SoC clocked at 1.0 GHz. 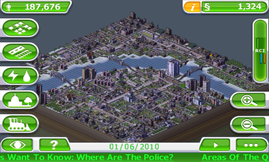 Graphics tasks are handled by a Qualcomm Adreno 203. 512 MB of RAM is rather meager and a definite bottleneck, as more demanding benchmarks like Basemark X 1.1 crashed when we attempted to run them. The system performance is also low due to the weak SoC and we encountered occasional stutters and lag. 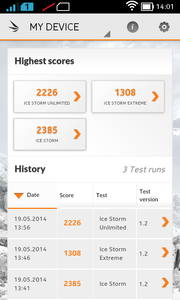 The benchmark tests reveal that many competing smartphones offer better performance. 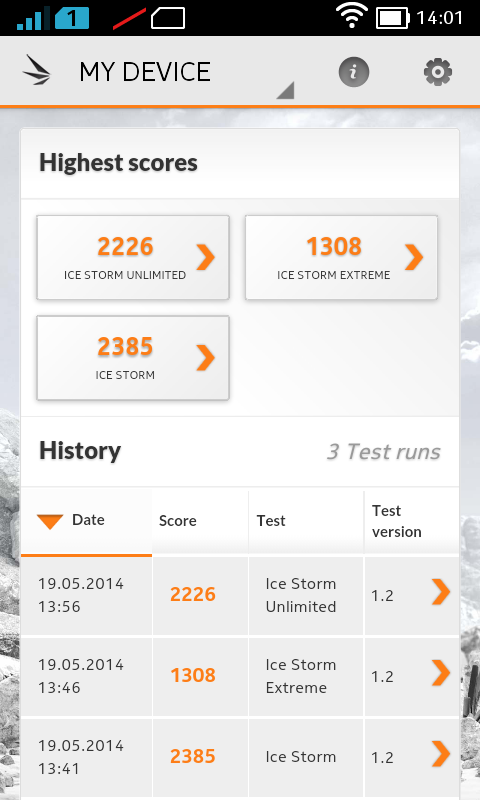 For the AnTuTu v4 benchmark, both the Liquid Z4 (+45%) and the Huawei Y530 (+58%) scored substantially higher. 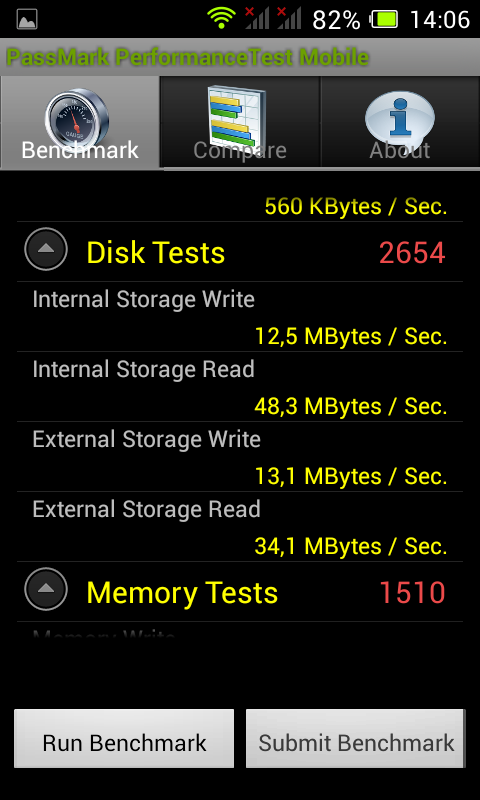 The Nokia X shows its strengths when running PassMark, since its flash storage is faster than the flash in the competitors. The RAM, which is far from generous as far as its size is concerned, is noticeably slower. 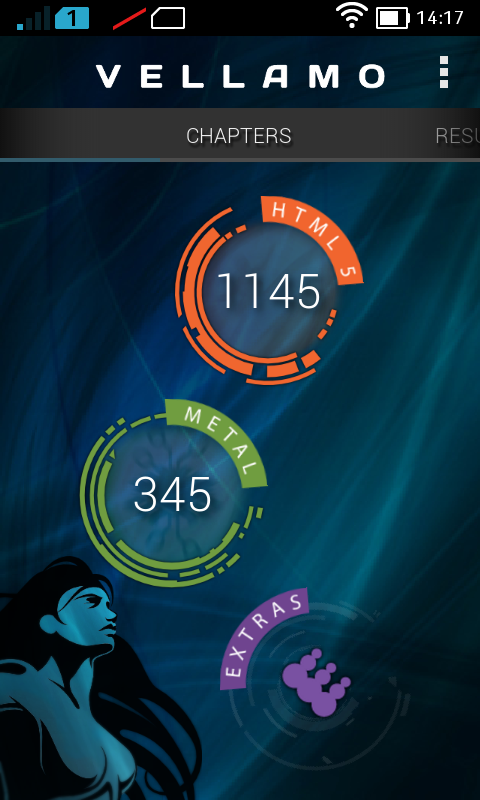 The browser performance of the Nokia X is not that great, although certainly sufficient for web surfing. The preinstalled browser is based on Google Chrome 30 and web pages load reasonably quickly, although the mediocre system performance is often a limiting factor. Most benchmarks - including Peacekeeper, Browsermark 2.1, Mozilla Kraken, Octane 2.0, and WebXPRT – crashed when we ran them. The results we did end up with indicate very modest Java performance. 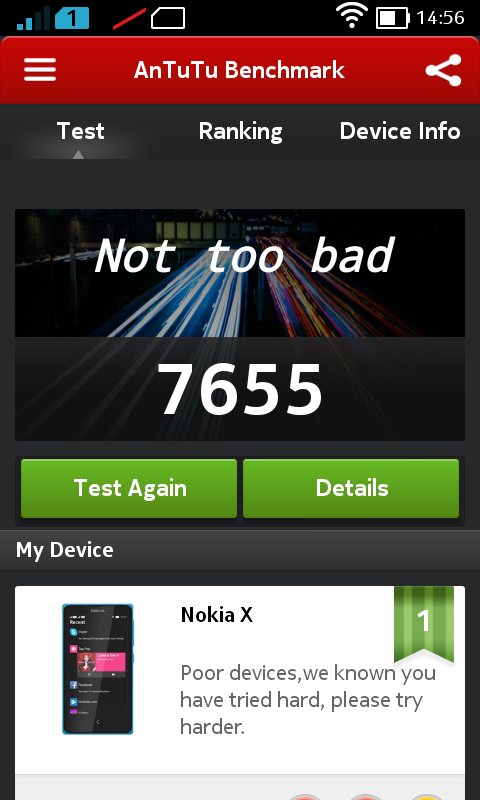 The Nokia X does reasonably well running the Google benchmarks, however. 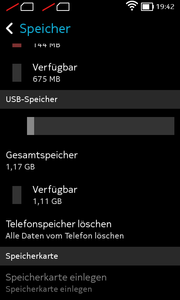 For storage, Nokia uses a small 4 GB flash drive. After the initial boot, only about 1.8 GB is left for user-installed programs. The storage can be expanded with MicroSD cards with a capacity up to 32 GB. 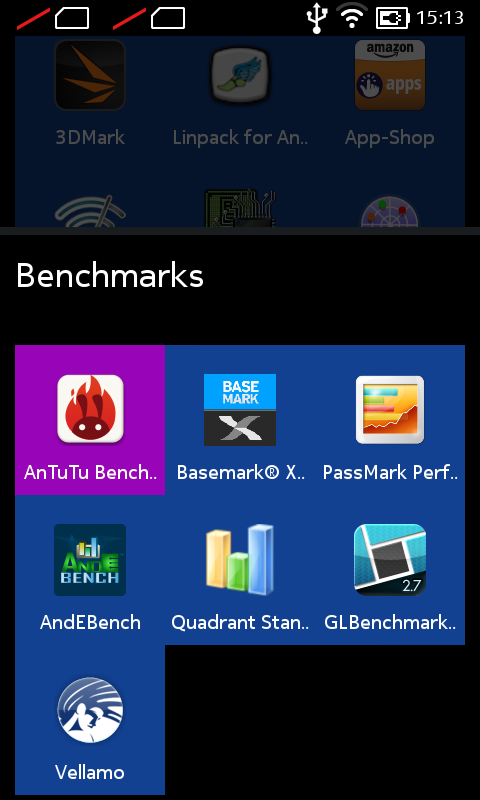 AndroBench is not available for the Nokia X, so we used PassMark instead to evaluate flash performance. 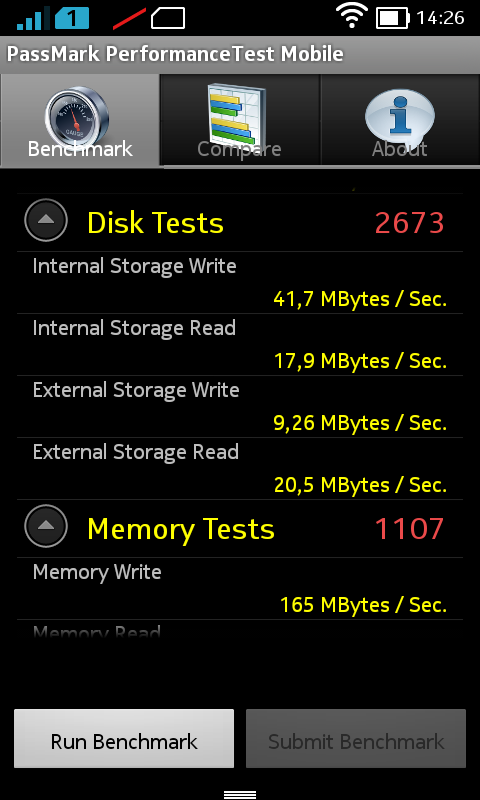 Compared to the Liquid Z4 (reads: 48.3 MB/s, writes: 13.1 MB/s), the Nokia X posts much lower read rates (17.9 MB/s), but the writes are about three times faster at 41.7 MB/s. A higher read rate would be beneficial, as it would improve the startup times of various applications. 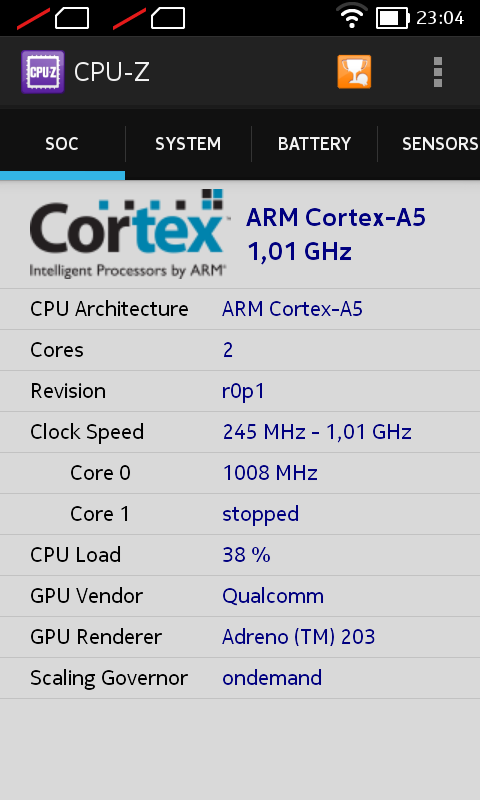 The Qualcomm Adreno 203 is one of the weaker GPUs on the market. Demanding games are therefore out of the question. Since the Nokia App Store does not offer any such games, this is not really a drawback and all available games run without any issues. 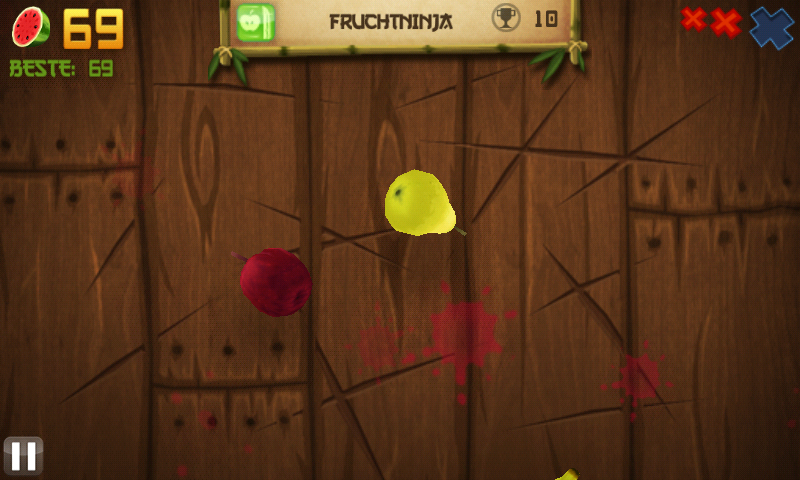 Current 3D games or highly rated games are nowhere to be found, but classic games like Angry Birds or Fruit Ninja are available for download. The position sensor and the good touchscreen work very well and do their part to make the gaming experience an enjoyable one. 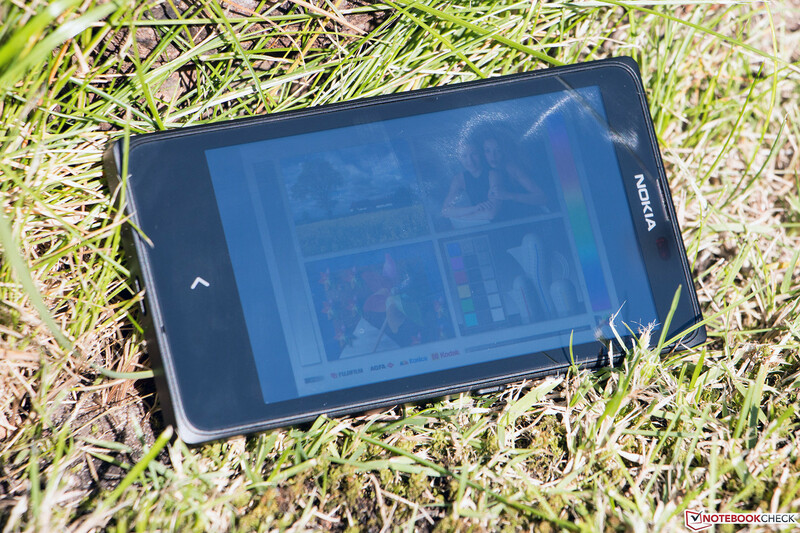 The Nokia X gets warm during idle and reaches 36 degrees C (96.8 degrees F) in some spots. 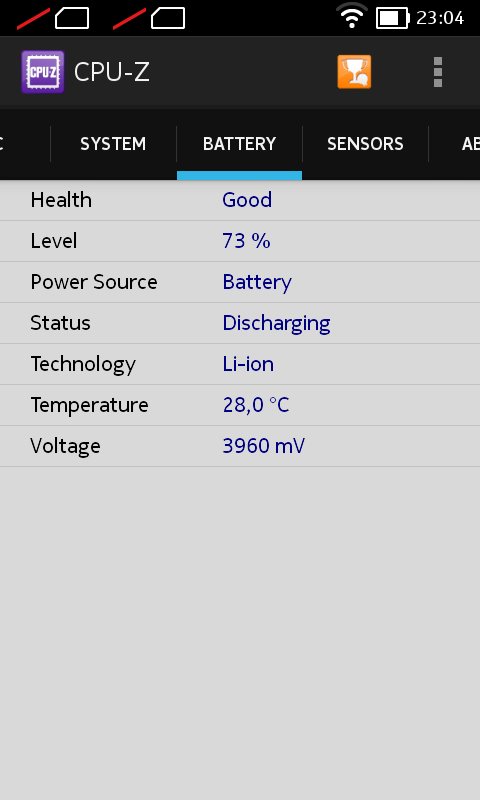 The Xperia E (up to 35.9 degrees C; 96.08 F) reaches similar temperatures; all other phones remain quite a bit cooler. 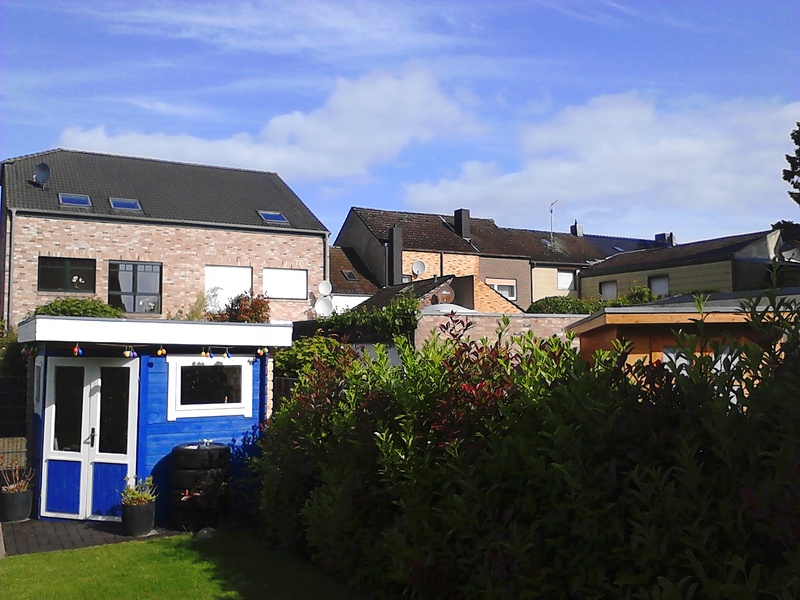 Under load, we recorded a maximum temperature of 40.2 degrees C (104.36 degrees F). The Nokia X is again the warmest phone in our comparison, but there is absolutely no reason for concern. The temperatures of the power adapter are also within a perfectly acceptable range. The mono speaker offers a solid performance as well. While the sound is not exactly a revelation, the highs are clear and concise, although midrange and bass are lacking. With the volume turned up to its maximum, the smartphone is not only very loud, but the highs are distorted slightly at times. The included headset is suitable even for music duties. The bass is not overly pronounced, but the highs are a bit subdued. Overall, the headset does its job well. 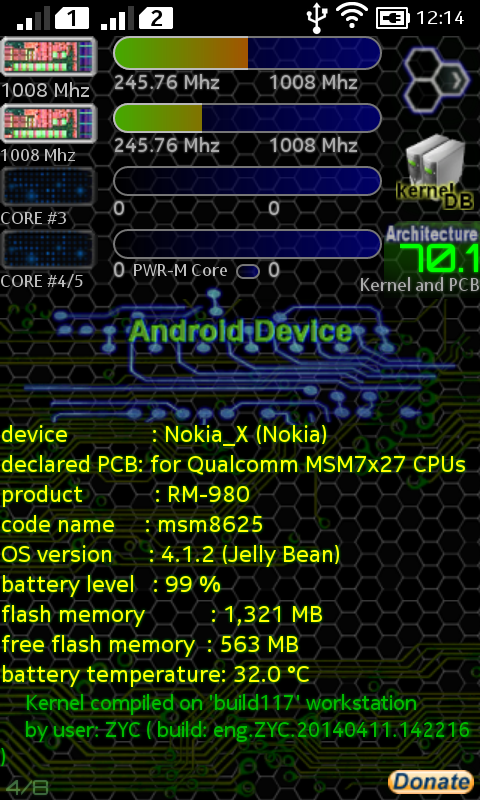 A smallish display paired with a weak SoC - the Nokia X should not, at least in theory, require a lot of power. Our results confirm that suspicion: when idle, the smartphone needs between 0.3 and 1.3 Watts, which is similar to the requirements of the direct competition. To determine the power draw under full load, we use the tool Stability Test. Here, our review model consumes a maximum of 2.4 Watts. The more powerful Huawei Y530 (max. 2 Watts) is even more frugal, despite the higher-performing GPU and the larger display. 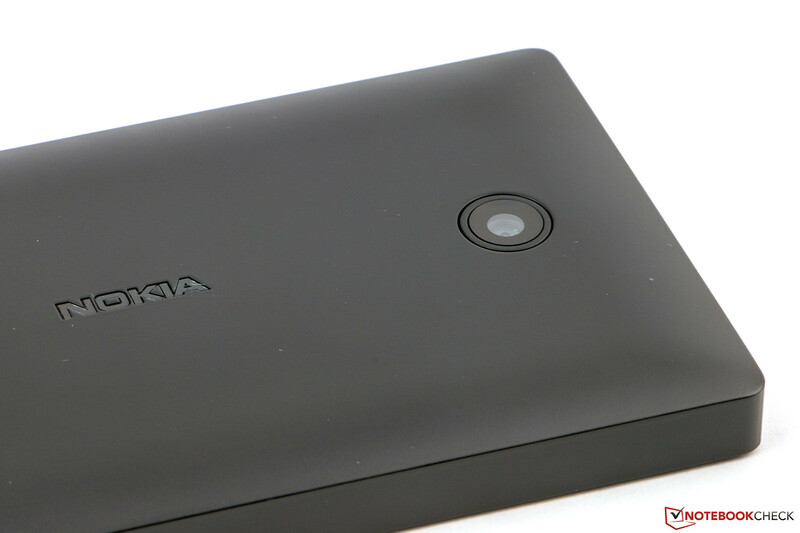 The Nokia X ships with a 1500 mAh lithium-ion battery. The competitors feature batteries with larger capacities. The Liquid Z4 (1630 mAh) as well as the Ascend Y530 (1750 mAh) have more powerful hardware, so at the end they are quite comparable. To establish the maximum run time, we turn down the display brightness and deactivate most other components. With Wi-Fi active, a script simulates reading a book in a browser window. The smartphone lasted for about 17 hours and 30 minutes. For the minimum battery life, we max out the display brightness and activate everything that can be activated. 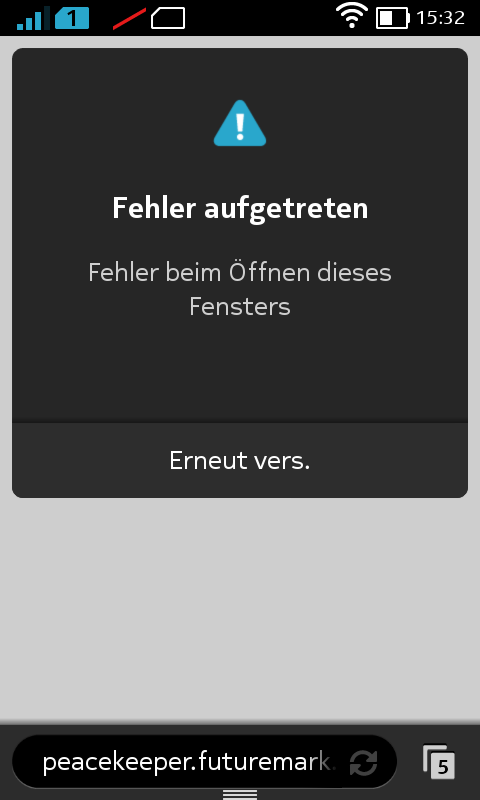 With the tool Stability Test active, the phone kept running for 2 hours and 30 minutes before it shut down. 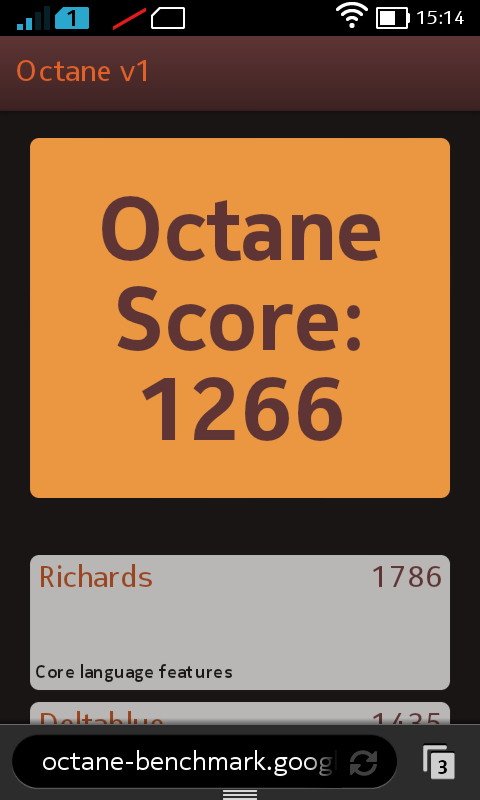 While this is a good result, the Y530 did last an hour longer. 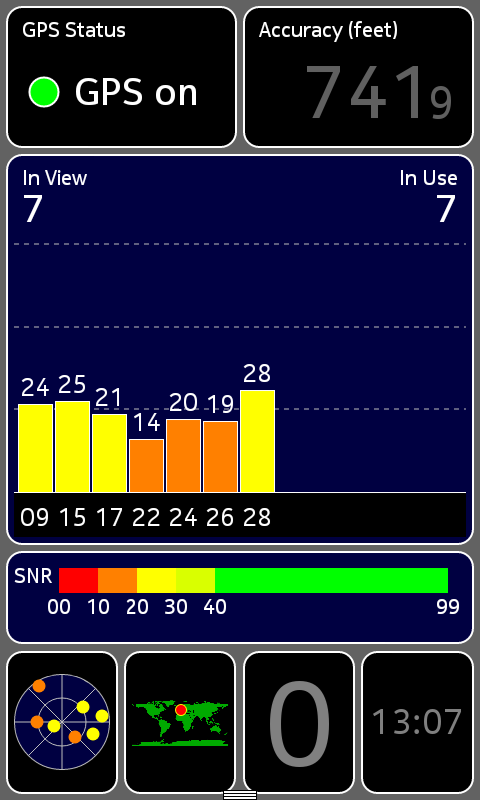 For the more realistic WLAN test, we set the display brightness to about 150 nits and deactivate all components except Wi-Fi. A script then opens a new website every 40 seconds. The Nokia X shut down about 10 hours later, which is longer than the Z4 Duo (8 hours 18 minutes) or the Y530 (8 hours 3 minutes). The Xperia E lasted as long as our review smartphone (9 hours 55 minutes). Since the Nokia X cannot handle the playback of Full HD videos, we omitted the corresponding test. The battery of the small smartphone provides enough power for an entire day. 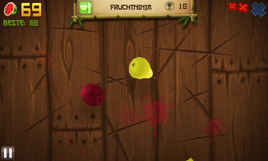 Only users who like to play games a lot might have to recharge their phone sooner. 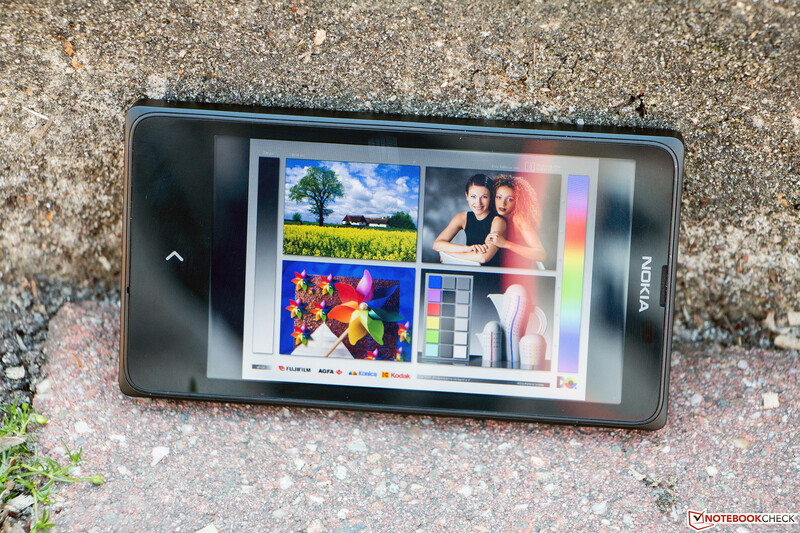 The Nokia X is a smartphone with a bright and evenly lit display and high build quality. Its main drawbacks are without a question the low performance and the low number of available applications. Why the manufacturer does not allow access to the Google Play Store will probably remain a mystery to potential buyers. Novice users, which are the target group for this phone, will have to find workarounds to get some apps installed, if they can be installed at all. Users who are not familiar with smartphones cannot be expected to manually install APKs to get familiar apps like WhatsApp or Instagram. The Nokia X Software Platform is also a bit sluggish at times, which can lead to stuttering. 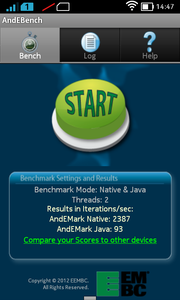 More demanding applications like benchmarks frequently crash. For that reason, we have decreased the final score (-4), although the full-featured offline navigation and the streaming-app Nokia MixRadio (+2), which is available free of charge, lessen the impact of the negative score. The user interface is well thought out as well as neat and easy to operate. Microsoft Mobile's effort is a good one overall, although some improvements are definitely necessary. 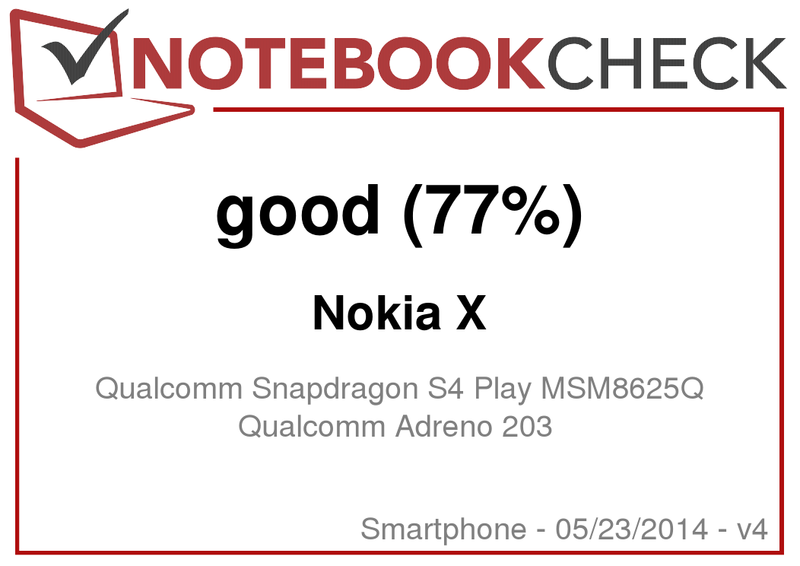 The Nokia X handles most daily duties without issues; the voice quality is quite good as well when compared to competing smartphones. Users in the market for a smartphone that is simple to use and does not cost an arm and a leg should take a look at the Nokia X - provided they can live with the limited number of applications. 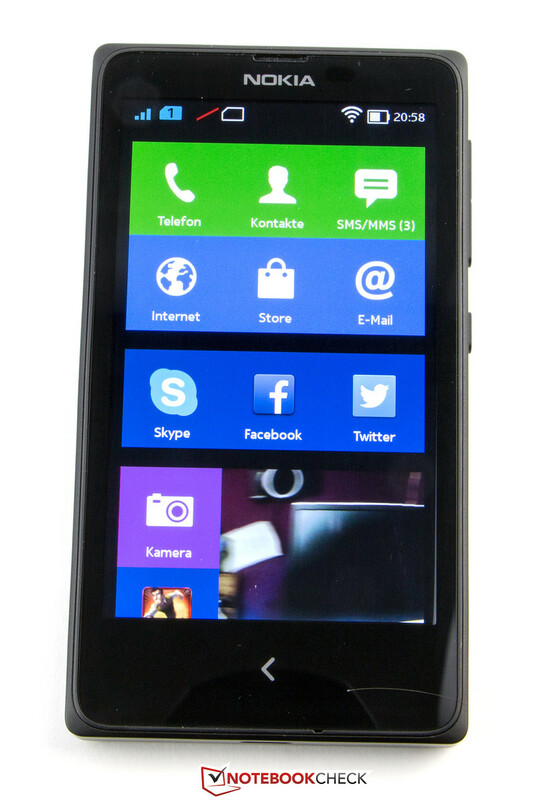 In Review: Nokia X. Test model courtesy of Notebooksbilliger.de. Not included: a data cable. A 4-inch phone suitable for a back pocket. 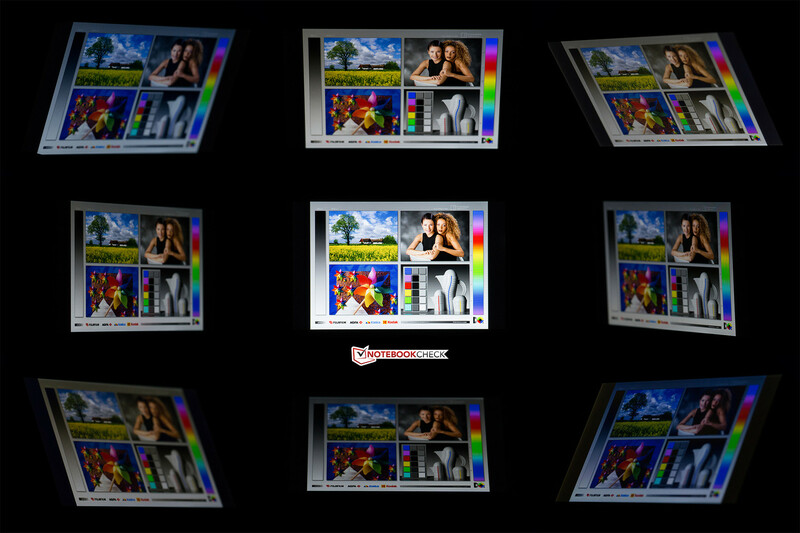 The IPS display has a resolution of 800 x 480 pixels. Google's Android platform is barely recognizable. The case is made from polycarbonate. The camera resolution is 3 MP. 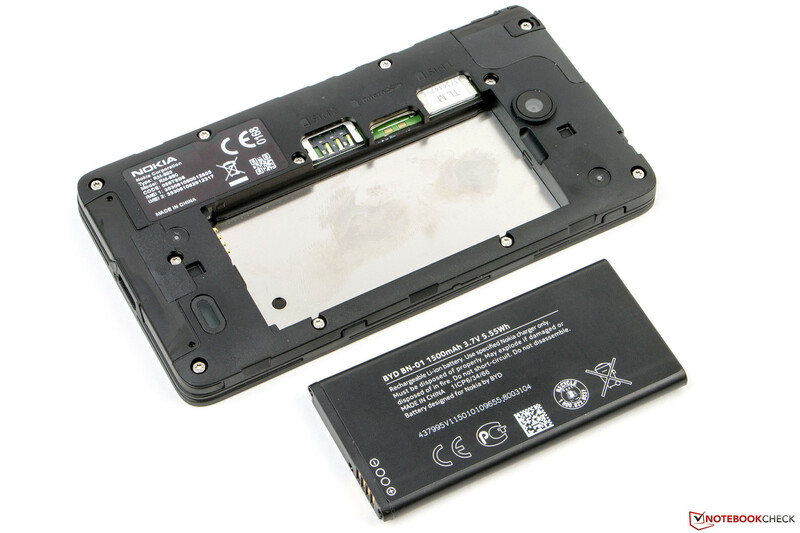 The battery (1500 mAh) is removable. The speaker offers good quality. Only the first SIM slot supprts 3G. 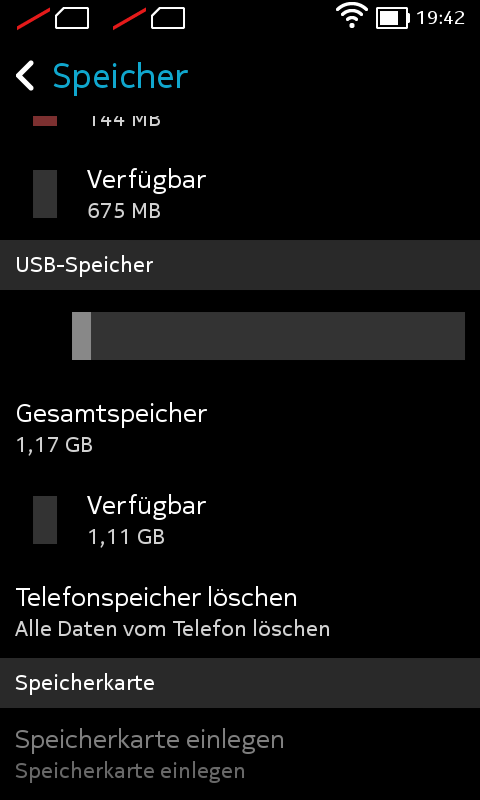 .. but only 1.8 GB are available. 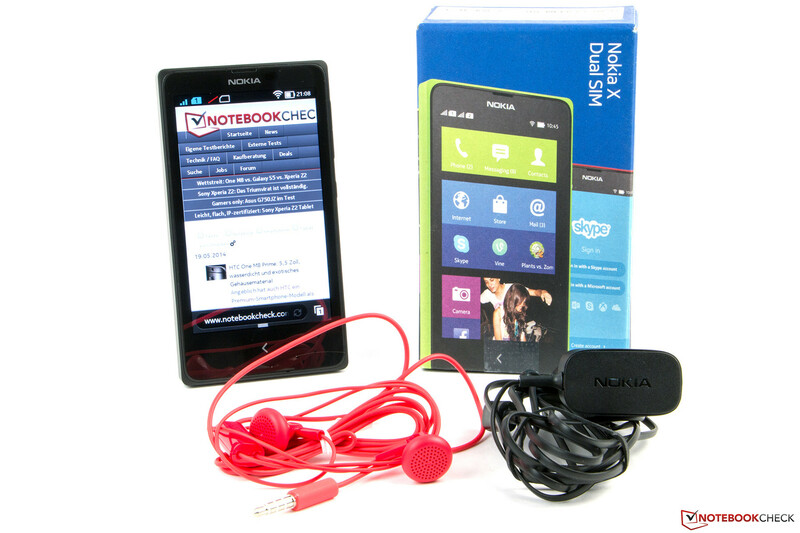 Our review smartphone shipped with the Nokia X Software Platform (V 1.1). 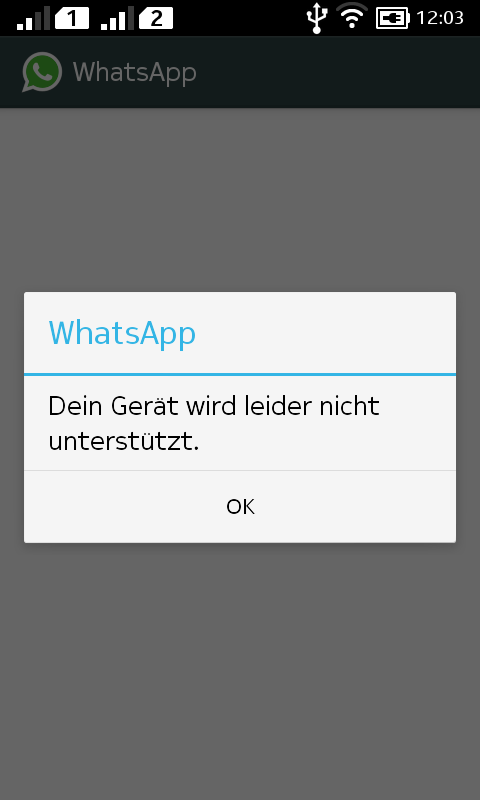 The installed WhatsApp-APK wouldn't run. The build quality, the display, and the voice quality are very good considering the price bracket. 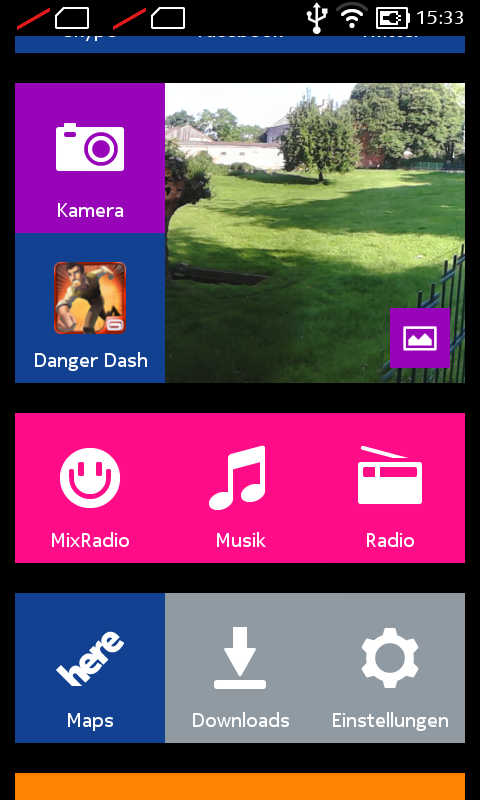 We also like the offline navigation and the Nokia MixRadio, which is supplied free of charge. Additional applications, better performance, and better stability. 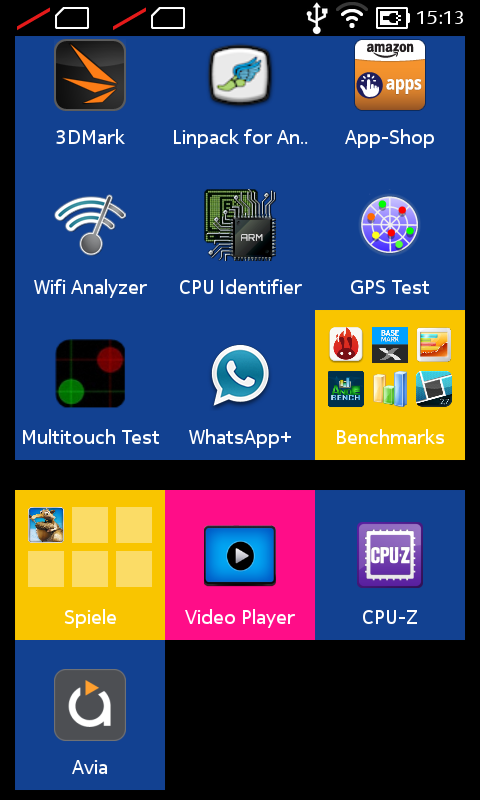 The Nokia X Platform Software isn't quite mature enough and stutters frequently. Common apps like WhatsApp and Instagram are missing. Why the Play Store was dropped for one specific to the phone is also inexplicable. Dual-SIM smartphones like the Acer Liquid Z4 Duo, Huawei Ascend Y530, and the Sony Xperia E dual.